Pump components are custom molded thermoplastic for superior strength and durability. All components developed and perfected through Computer Assisted Design for maximum pressure performance at minimum operating expense. 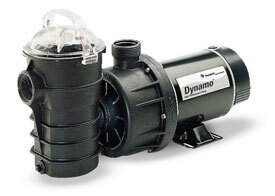 The Dynamo Series of Pumps are all made of the Highest quality components and will last for many, many years. If your looking for a high quality pool pump, This is it! !